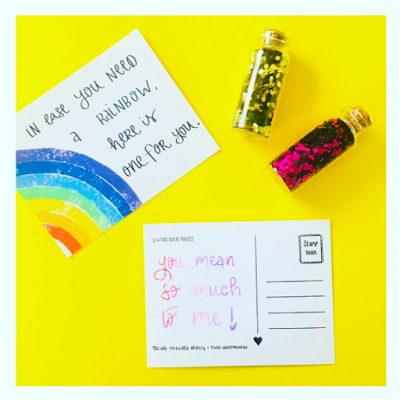 Send a rainbow to someone you love! This colorful and sweet postcard can be found in my Etsy store. It’s perfect for you to brighten up someone’s day! Each postcard that you buy allows me to send another three to people in need of love and support!